1. Pour each color of candy shred or sprinkles into a separate small bowl. 2. In another small bowl, mix together powdered sugar and milk until a thick icing forms. 3. 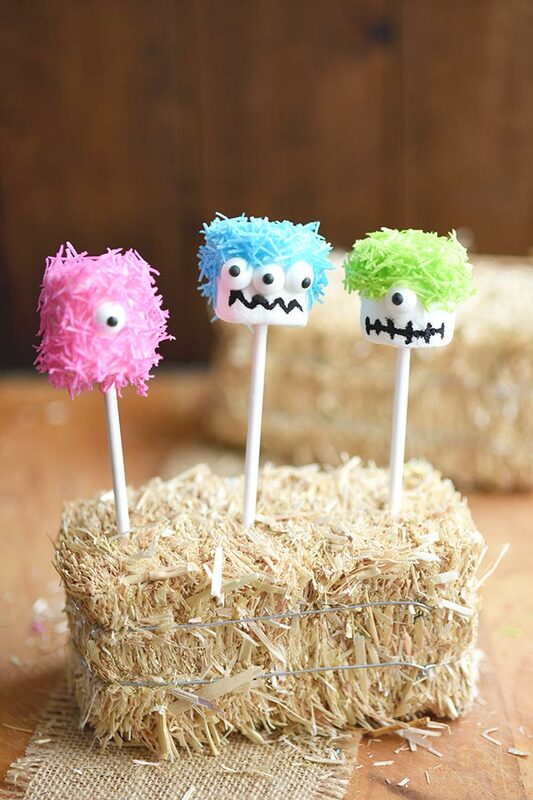 For each Monster pop, take one lollipop stick and dip it about 1/2" into the icing then push that end of the lollipop stick into a marshmallow. Push the stick all the way to the top of the marshmallow without breaking through. 4. With the marshmallow now attached to the top of the stick, dip the marshmallow half way into the icing. 5. Attach 1, 2 or 3 candy eyeballs by simply pressing them onto the part of the marshmallow dipped in icing. 6. Next, sprinkle candy shred or regular sprinkles over the remaining area on the marshmallow that is coated in icing to create "monster fur". 7. Using a food writing marker, draw a mouth on the part of the marshmallow that is still dry. 8. You can vary the look of your monster but adding more or less "fur" and changing the style of the mouth you draw. You could even make one covered in eyeballs! Have fun and get creative! 9. Store these upright in a lollipop holder or make your own holder. See above for ideas! 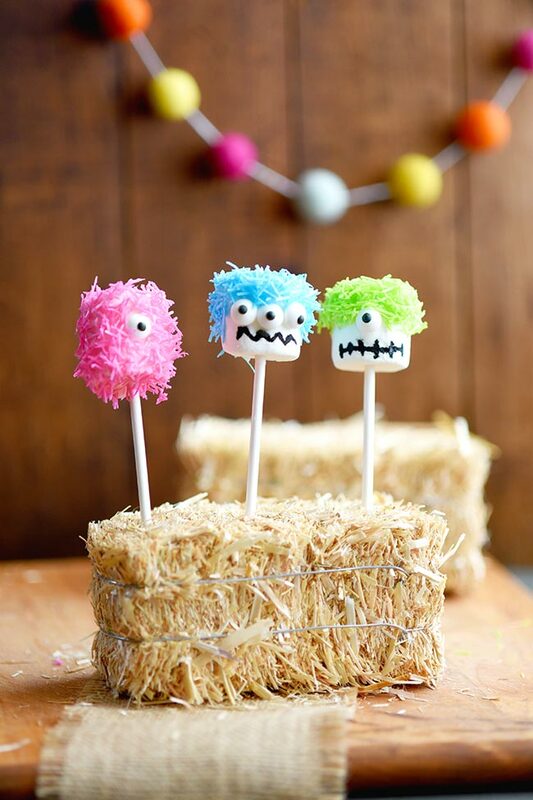 How cute are the Marshmallow Monster Pops for a Halloween party?! 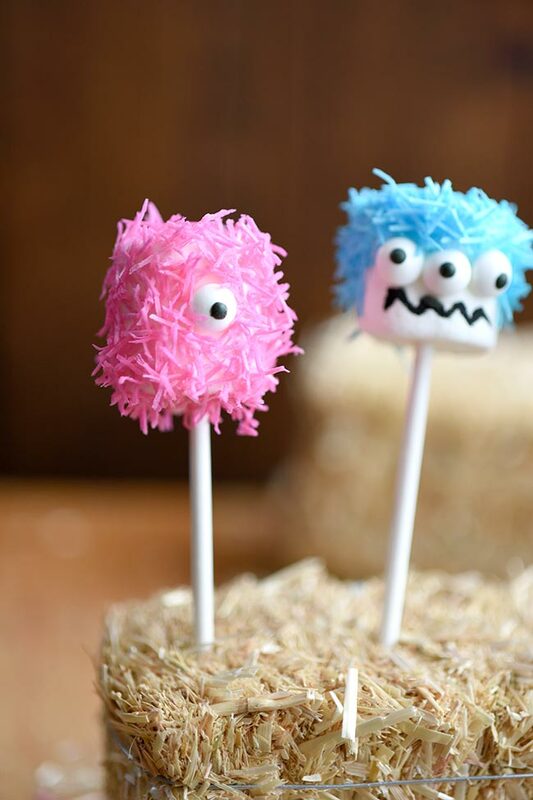 Before you start thinking I’m going full Pinterest-mom on you, let me reassure you that these marshmallow monster pops are super easy to make. No cooking required. I actually intentionally decided to make these with the busy, working mom in mind after seeing 1,000s of other recipes on Pinterest that look like you’d have to stay up all night making them. Not sure about you, but I like my sleep. Try not to roll your eyes or convince yourself that you don’t have time to make anything. You can do it! Trust me, as a mom of kids who are getting older, you’re going to want to savor the years where they actually appreciate you making and bring lollipops in the shape of monsters to their school Halloween party. My kids are actually at an awesome age where they are young enough to still like having me around yet old enough to help make their classroom treats. Win! So, even if you have little ones and you’re starved for time, you can get these made in the time it would take you to drive to the store and back. Save yourself that time by using Amazon Prime to get the special ingredients to your house. Lollipop holder – You could also make your own by poking holes in a cardboard box or get creative and use something fall themed. I found some cute mini hay bales at Hobby Lobby but I bet you could find something fall themed at the Dollar store too. 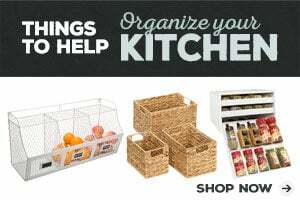 No trips to specialty stores needed. Although if you love Hobby Lobby, that’s where I found the candy shred sprinkles that inspired these monster pops. For the regular groceries items (just milk, powdered sugar and marshmallows) try grocery delivery or grocery pick up. Even with older kids, grocery pick up is my best friend!